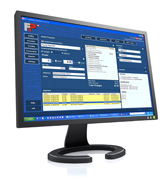 Software solutions provide you with the information you need when running a mailing or shipping environment. From postal accounting and reporting to rate shopping carriers, ask us how you can improve efficiency and increase the productivity levels of your mailing/shipping centers with the right software solution. Wonderful for businesses beginning to experiment with E-Commerce (own website, Amazon, Ebay, Etsy, etc. ), mailone™, Priority Mail® and Express Mail® users can take full advantage of significant discounts on by utilizing commercial-based pricing. Mailroom accounting is traditionally a difficult amp; tedious task that offers very limited information. MailOne™ changes all of that. With unlimited Departmental Accounts, instant access to 30+ Accounting amp; Product Reports, and an easy view of detailed records on Dynamic Postage Spending, MailOne™ completely updates mailroom accounting to provide instant value. Make your mailing operation much more productive with Bulk Mailer® — prepare USPS® compliant mailings faster and more easily. Achieve increased mail deliverability and the lowest postage rates all while avoiding the aggravation of deciphering complex postal regulations. Superior productivity features include wizard-based processes, reusable templates, comprehensive data exchange and an unmatched mail piece designer. This next generation of the Bulk Mailer series sports a sophisticated new interface and the option to upgrade to a Microsoft® SQL Server database for faster performance with the largest address data files.